ALIENS AMONG US: Animation - SciFi Comedy Adventure. In 1950's mid America, a typical boy lives a typical life with his typical family in their typical neighborhood. Until something very untypical occurs. BILLY MOON AND THE SECRET LEGION: Animation - Action Adventure. A young boy in the 1930's finds adventure when the movie serial he loves to watch hits too close to home. AGE OF ROCK: Animation - Musical Comedy. A Cool Girl, The Stone Age and Rock n Roll. What more could a Cro-Magnum boy want? 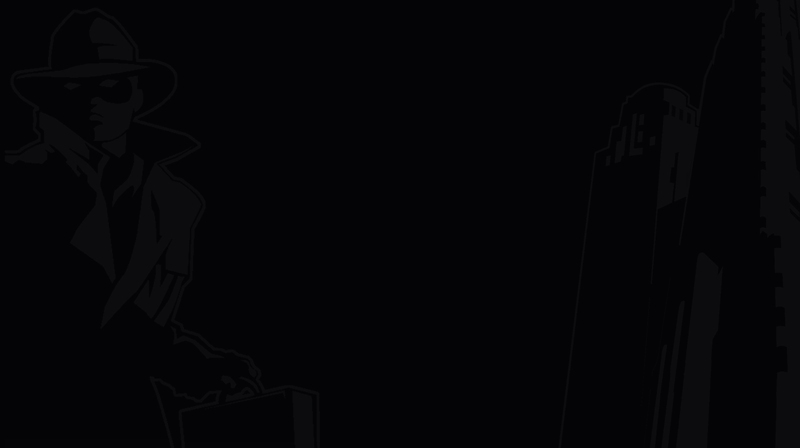 LESTER FLIGHT: Animation - Spy Movie Parody. Icebergs Are Forever! Move over James Bond, penguin special agent Lester Flight has a license to Chill! SCOT FREE: Animation - Comedy Action Adventure. MAGIC CHRISTMAS: Animation - Christmas Comedy Adventure. Coney Island, Christmas, Some Cute Furry Animals, and Magic. STRIKE STARS: Animation - SciFi Action Comedy Adventure. Codun Deel was once a lean, mean commander of an elite space fleet. Years older and content in his ways, the now flabby Deel is relegated to hauling intergalactic garbage across the universe. A chance encounter leads to an adventure to the outer galaxies and an opportunity to right a past wrong and redeem himself. KNIGHTMAN: Animation - Super Hero Comedy. 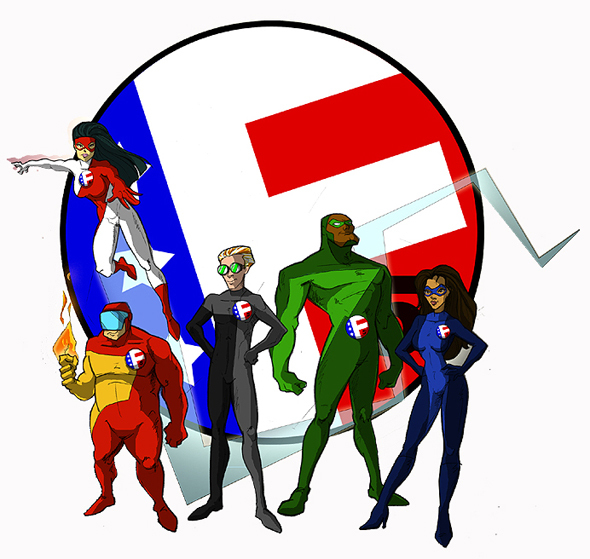 FREEDOM FIVE: Animation - Super Hero Screwball Comedy. Five of the sorriest excuses for super heros, but they try. Oh how they try. THE LAST STONE: Live Action - Mystery Thriller. A female archaeology professor digs up the past and discovers the unexpected... Herself! RUNNING WITH THE PACK: Live Action - Comedy Fantasy Drama. A shy college grad has trouble adjusting to life in the dog eat dog business world. He finds confidence in an unlikely source... do be do be do. SEVEN: Live Action - Comedy Action Adventure. Seven brilliant nerds defend their "turf" against a sinister threat, ...without the aid of Yul Brynner or Akira Kurosawa.